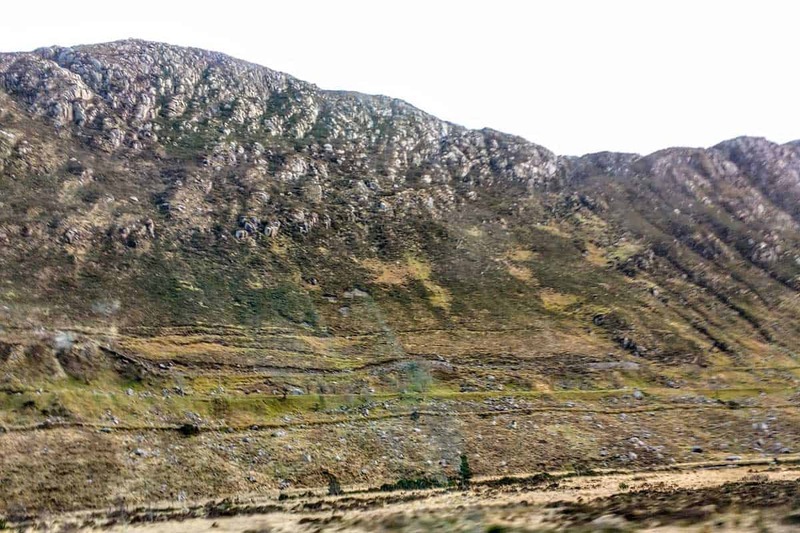 Deep in the heart of Donegal County lay the Derryveagh Mountains and the Glenveagh National Park. Hidden within those mountains is a castle with a rather dark history. 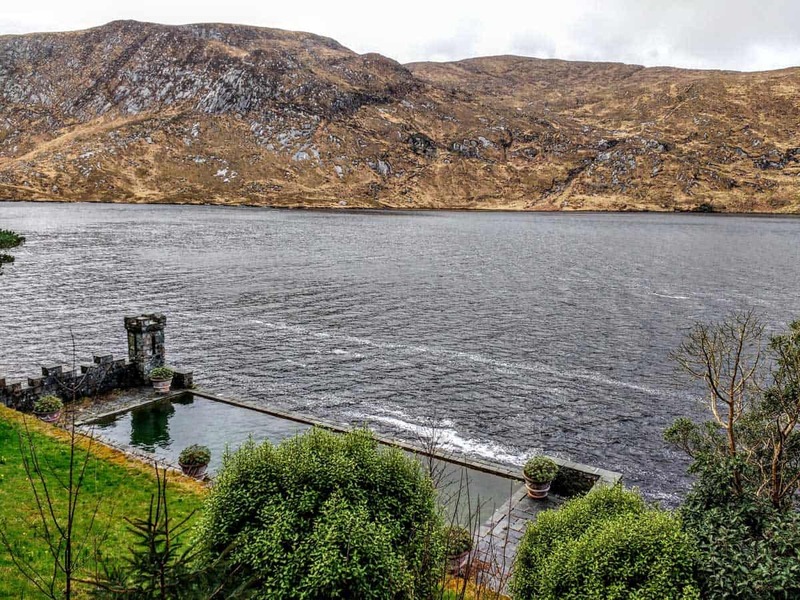 Glenveagh National Park is located 24km north-west of Letterkenny and can be reached driving through the villages of Kilmacrennan or Church Hill. In Church Hill, you can stop for some amazing scones at Mary Alice’s little cafe and antique shop. To get to Glenveagh from Letterkenny, if you are in Derry simple follow the signs to Letterkenny and then take the (N56) road through Kilmacrennan, turning left on to the Gweedore road (R255), or alternatively via Church Hill, and past Gartan and Akibbon lakes (R251). From Donegal Town, we take the N15 and it’s about an hour and a bit drive. 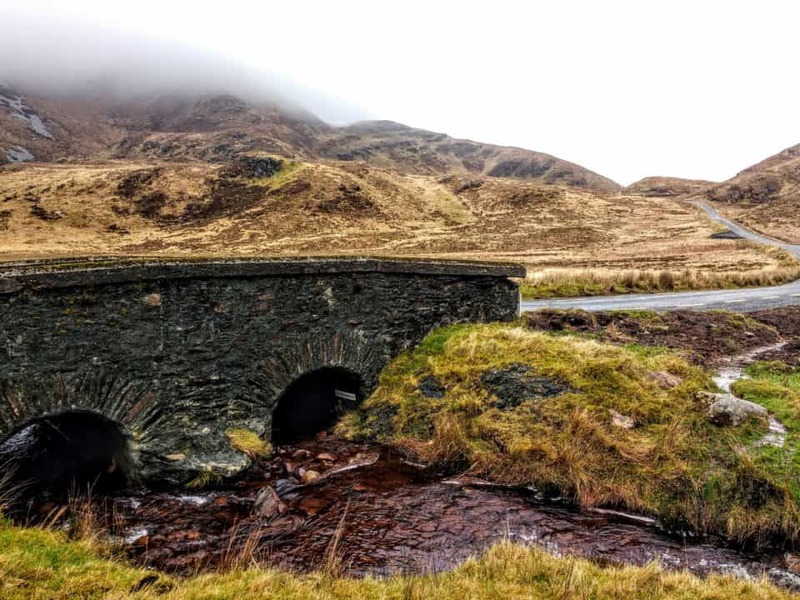 On your way to Glenveagh, you will pass a gorgeous little stone bridge with spectacular views of Muckish Mountain and to the side of the road, you will see a large stone with writing on it. The writing these days is barely legible and it is written in Irish Gaelic. 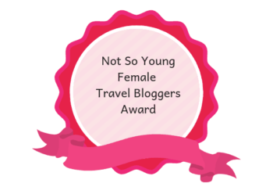 “Friends and relatives of the person emigrating would come this far. Here they parted. This is the Bridge of Tears”. This route used to lead to Derry from where the ships would depart for new lands in America, Australia, Scotland and England. The family of those emigrating would walk with them towards the Muckish Gap and here they would say goodbye. Crossing this bridge meant that the family would never see their loved one again and there is a sense of longing and loneliness that hangs in the air here. The Bridge inspired Percy French to write one of his most famous songs “The Irish Mother”, and inspired Clannad’s beautiful “The Bridge of Tears”. 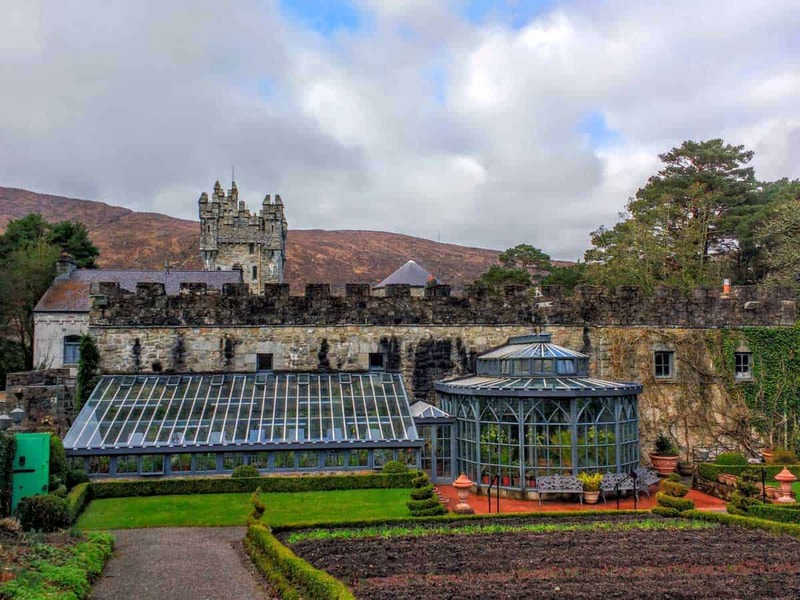 The Park is the second largest National Park in Ireland with over 170 square kilometres of the hillside above Glenveagh Castle on the shore of Lough Veagh. It is a drive of just under 50 minutes from Letterkenny. 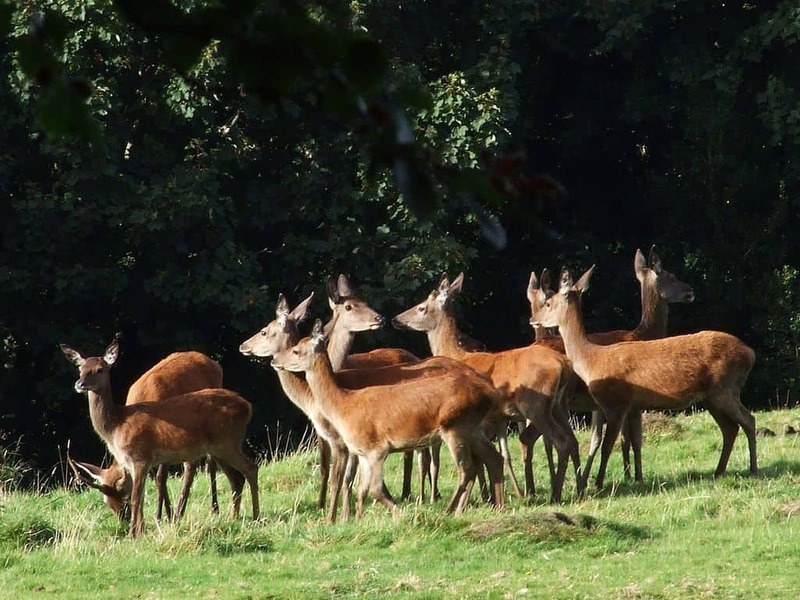 The park is home to the largest herd of red deer in Ireland and the former locally extinct golden eagle was reintroduced into the park in 2000. 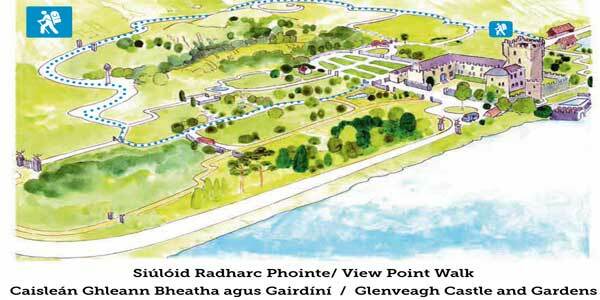 In 1975, the National Parks and Monuments Service purchased the lands of Glenveagh from Mr McIlhinny. He later presented Glenveagh Castle and gardens to the Irish Nation. Glenveagh National Park is an extraordinarily beautiful place to visit. 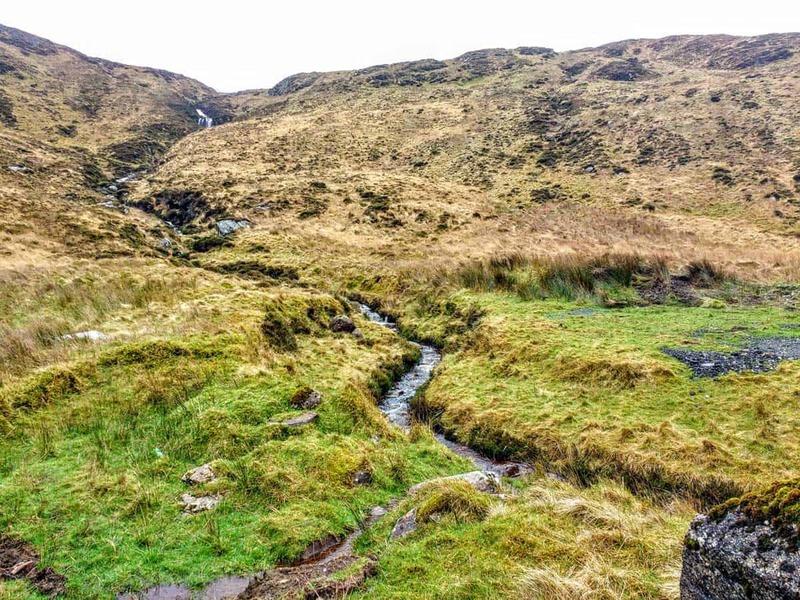 The park has a wide variety of walks and trails and this place is truly one of the wildest and most beautiful places in Ireland to visit. Glenveagh National Park is second only to Connemara in size and its largest feature is the stunning Lough Veagh which is a deep and long lake fed by the River Veagh. This area is among the densest woodland in all of Ireland and its environment includes moorland, bogs, mountains, forests and lakes. 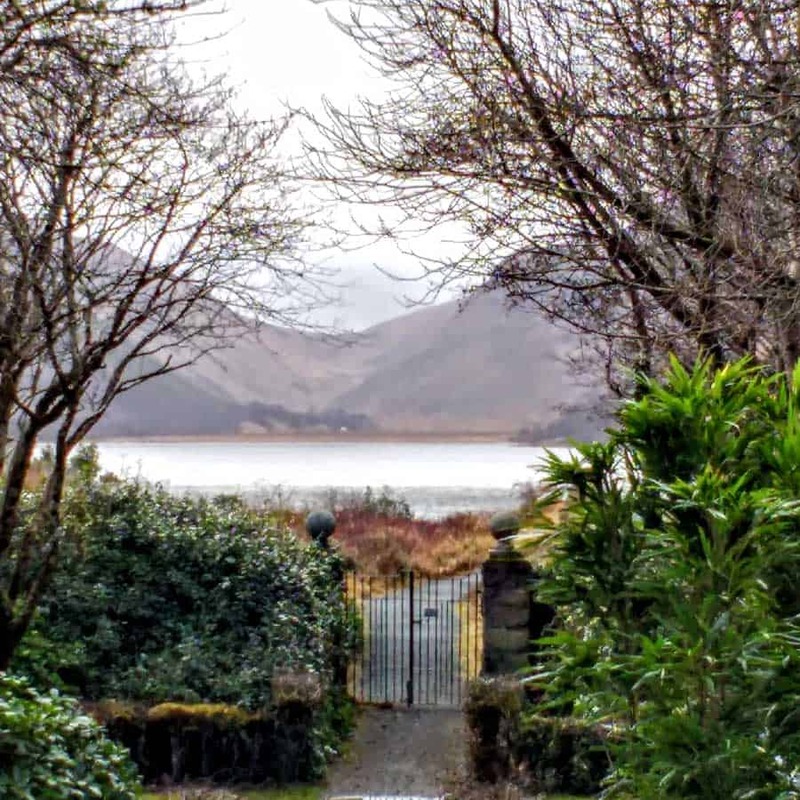 Errigal and surrounding areas are within Glenveagh boundaries, and the main entrance lies a 10-minute drive from the Errigal Car Park. 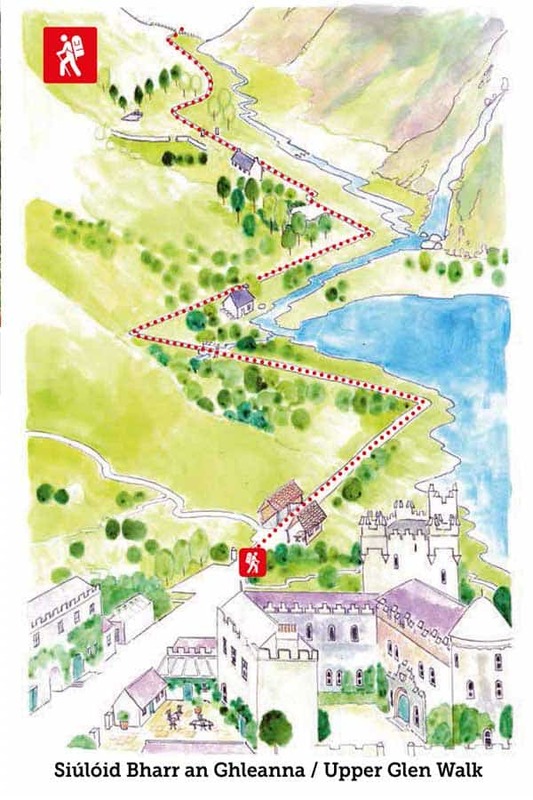 There is a visitor’s centre where you can obtain walking maps of the trails that are marked throughout the park, as well as grabbing a cup of tea and a shuttle bus to visit Glenveagh Castle. 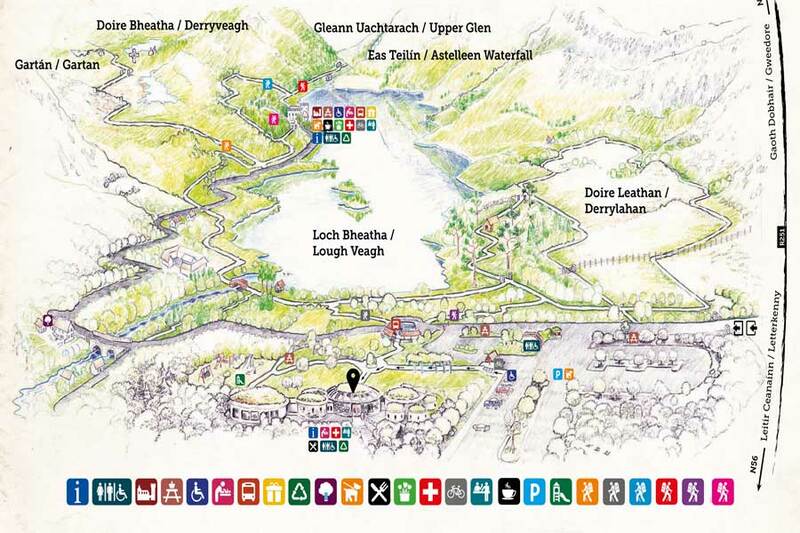 From the visitors centre, you can catch a Walker’s Bus that runs to the Lough Inshagh Trail in Gartan & the Head of The Glen near Lough Barra every Saturday, Sunday & Bank Holidays Monday all year around at 10am. (Weather Permitting). The visitors centre provides an introduction to the Park and its natural history through audiovisual shows, displays and exhibits. Location: 24 kilometers north-west of Letterkenny. Visitors Centre: free exhibitions, information, and a 45-minute audio-visual presentation. Restaurants: Visitors’ Center and Castle Tearoom. 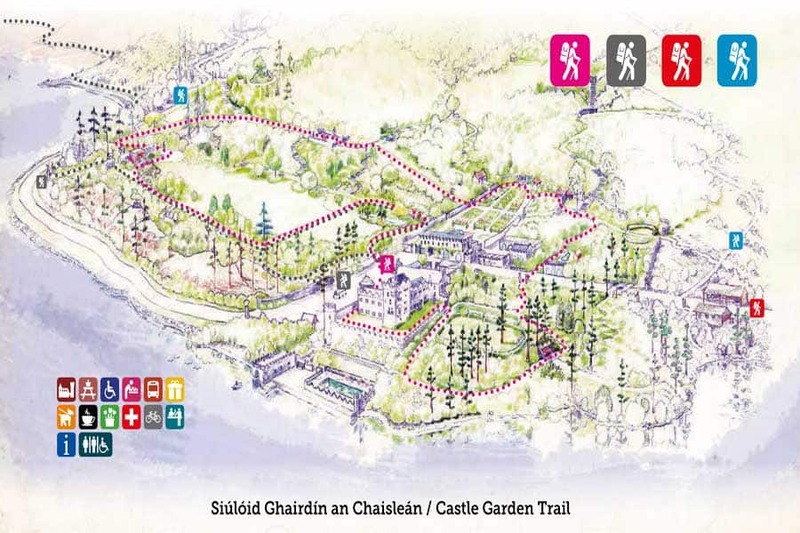 You can tour the gardens and site without visiting the castle – the shuttle bus to the Castle gardens, which are amazing by the way, costs around 2 Euros and the tour of the castle are an additional 7 Euros. 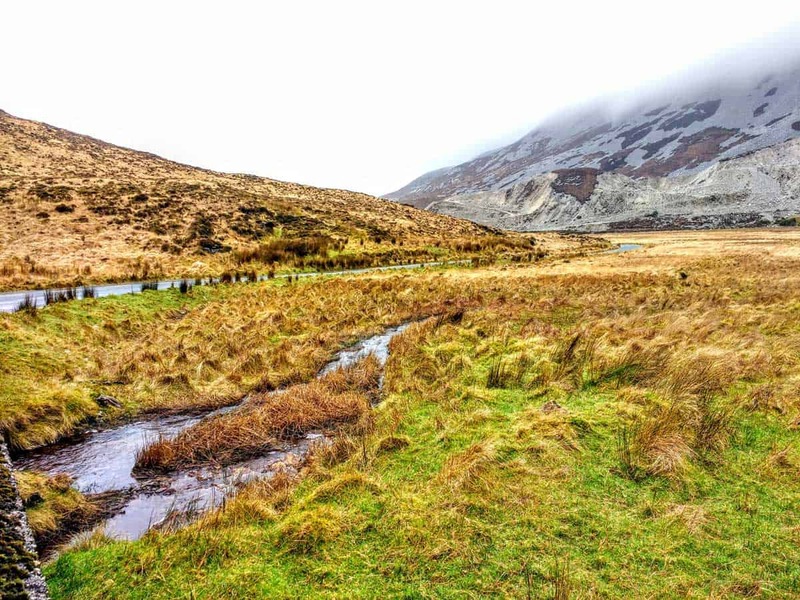 Glenveagh National Park includes most of the Derryveagh Mountains, the Poisoned Glen and part of Errigal Mountain and is a beautiful place to walk the hills and follow trails. This is incredible hill walking country and the mountains set in this rugged landscaper will entrance any climber. From Errigal to Muckish. Slieve Snaght, Loch Veagh and Lough Garten you will find views beyond anything you can imagine. I would highly recommend that you stay in the area and take at least 2 days to really see this part of Donegal County. The Derrylahan Nature Trail is around 2 kms and takes about 45 minutes it is considered a medium walk on a gravel path that can be steep in some places. 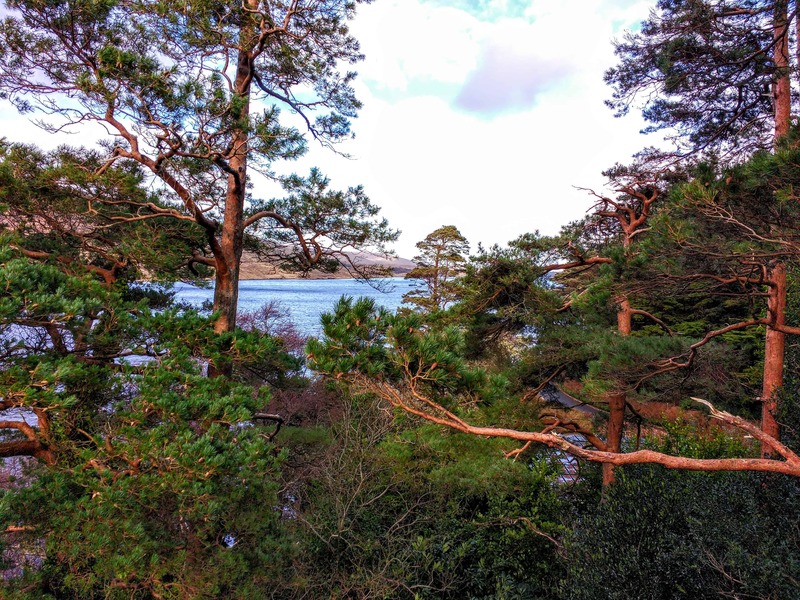 Similar to the Lakeside Walk you will see both planted and native Scots Pine woodlands and a section of the blanket bog with brilliant views of Glenveagh Valley. Glenveagh Castle. The walk is around an hour via a gravel pathway. It is wheelchair accessible but there are some steep areas. The View Point Trail is a short walk and it leads to a viewing point with incredible views of the rugged landscape below. The walk is around 1.5 km and takes around an hour or so. The gravel surface is pretty good although it can be bloody steep in places. The Glen or Bridle Path Walk is not a looped walk so you can arrange a pick up by the Walkers Bus. 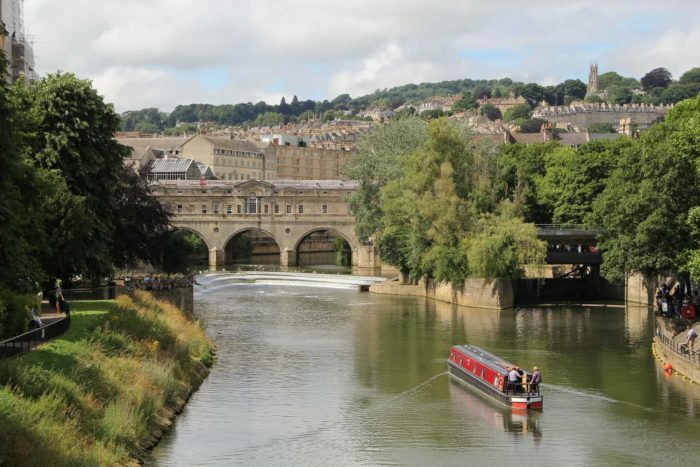 This walk is around 8km and takes approximately 2 hours or more. It rises pretty gently towards the end of the walk. Along the walk, you will see the old derelict settlement and stands of oaks with outstanding views of Lough Veagh. 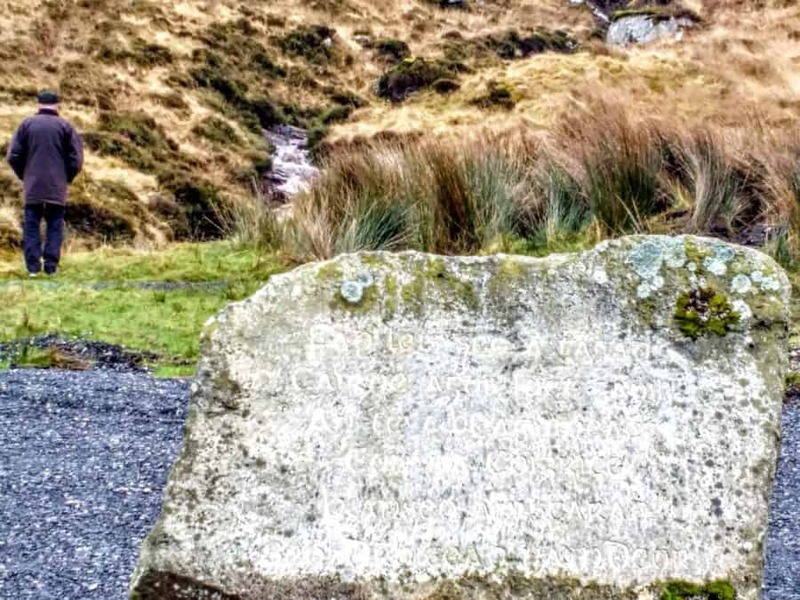 The Lough Inshagh Walk is another non looped walk so not only do you walk for an hour around the kms you must walk back or arrange a car pick up at Gartan where the walk ends. This path used to connect Glenveagh Castle to the village of Church Hill. It is a supremely peaceful walk and you may be lucky to spot some red deer on the path. The wild landscape takes you past the bogs and you may see some Golden Eagles and Ravens. You will end up at St. Colmcille’s birthplace in Gartan. Bus to Castle: Euro 2.00 Euro per adult. 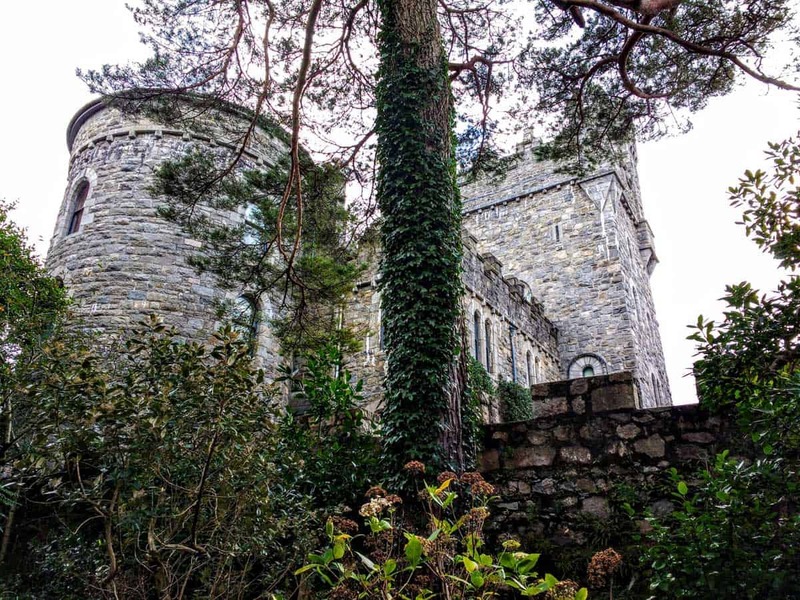 Glenveagh has a dark history in its stones that isn’t talked about when you take the tour of the castle, but in the area, legend has it that the place is haunted. The builder, John George Adair, of Glenveagh Castle was considered minor gentry who had done very well for himself and ended up marrying an American heiress. The castle was built in the 19th century and designed to look like Balmoral, Queen Victoria’s favourite castle in Scotland. 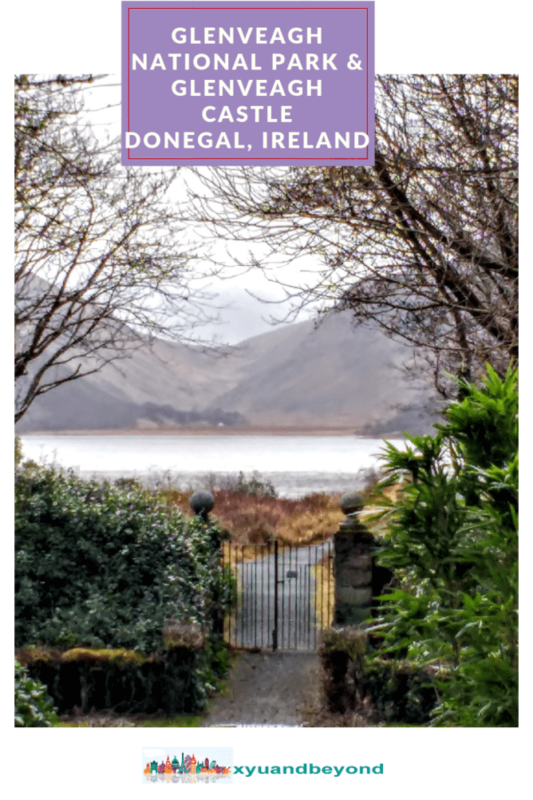 Adair’s first glimpse of the Glenveagh loch and valley was blown away by the site and he was “enchanted by the surpassing beauty of the scenery”. So Adair bought several tracts, land, formed the estate, and brought his new bride Cornelia Wadsworth of New York to live at Glenveagh. During the building of the castle 1861, Adair decided to clear the land of its tenants. Nobody is sure why he suddenly decided upon this action. Stories have it that it may have been the murder of his steward James Murray or an incident that took place with the tenants. Apparently, while hunting one day Adair was surrounded and intimidated by his tenants. Whatever the reason a nasty, bitter eviction took place in which 244, men, women and children were forcibly evicted from their homes and left to fend for themselves. As a result of this horrendous eviction the Donegal Relief Committee, was formed and they paid for passage for any person evicted, (who wanted to go) to Australia where they were given plots of land to farm. In 1873, the castle was complete but the couple spent more and more time in America. In 1885, on the way back to Ireland from Texas, Adair died suddenly in St.Louis, Missouri. Cornelia, Adair’s widow was a much kinder landlord and was known to be very generous with the poor of the area. Cornelia added a round tower and anew wing to the castle as well as beginning the development of the gardens. 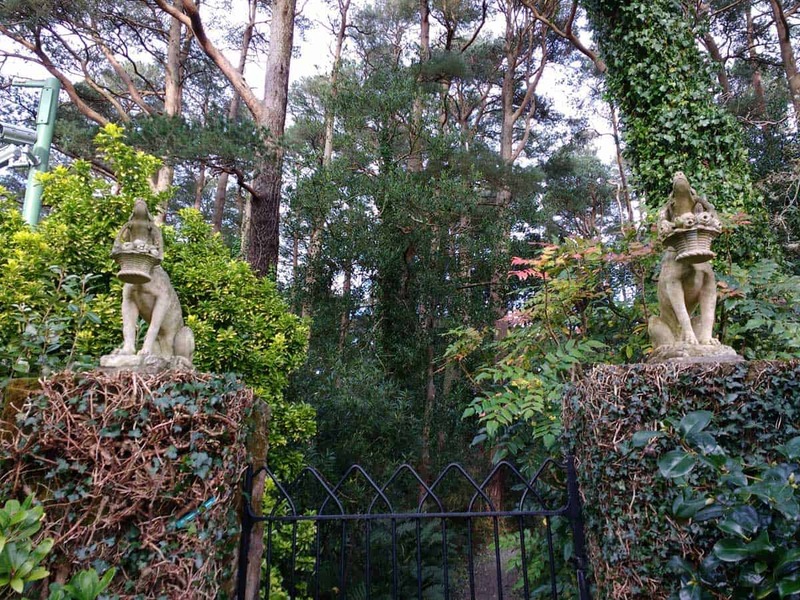 She added what were known as “Pleasure Grounds,” in Victorian times and these were quite separate from the kitchen gardens. During the first World War, Cornelia opened the castle up to house and shelter wounded Belgian soldiers, and continued to live in the castle herself until 1916. In 1929, the Castle was sold to Arthur Kingsley Porter, a Harvard professor of Fine Arts. Porter came to Glenveagh to study Irish archeology and culture. 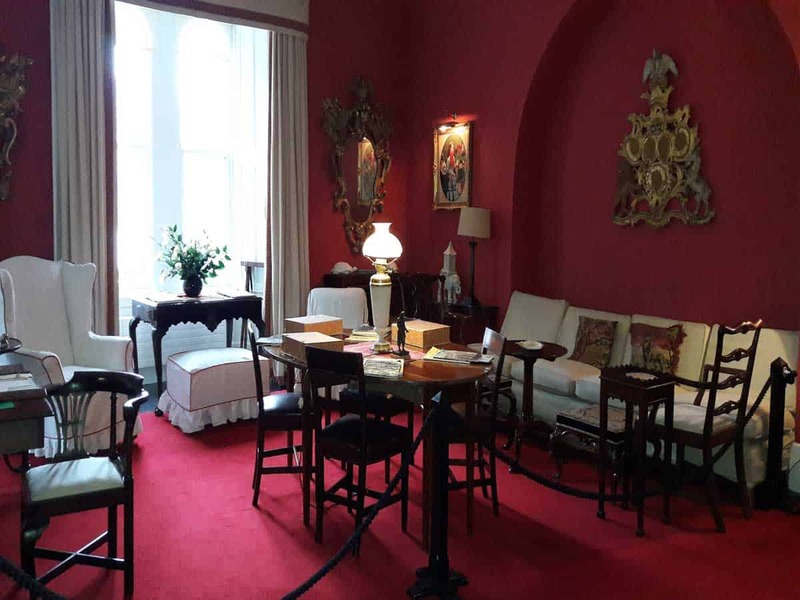 He and his wife Lucy moved among the wealthy art and literary cliques of their day and entertained them royally at Glenveagh. Unfortunately in 1933 while visiting Inishbofin Island Porter went for a walk and never returned. His wife to Mrs. McIlhinny from Philadelphia and her son Henry then leased the castle. In 1936, Henry who loved Glenveagh returned to Ireland and bought the estate. The McIlhinny family is quite famous in the US for both the invention of the gas meter and Tabasco sauce. 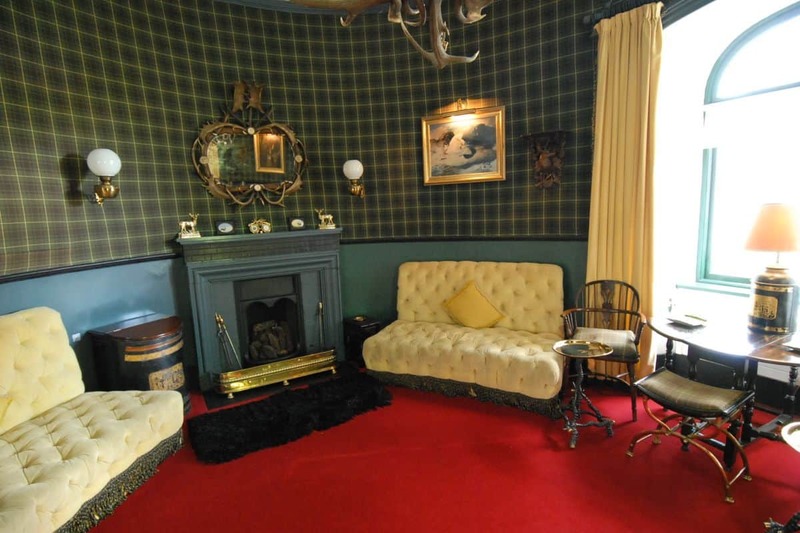 Henry McIlhenny loved a party and invited many a celebrity to come and stay at the castle. 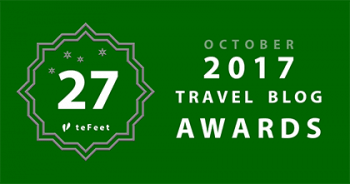 Guests included Greta Garbo, Marilyn Monroe, Rosemary Clooney, Yeheudi Menuhin, and many more. It was a lavish lifestyle and McIlhenny was said to be a “very kind” employer. There were 12 indoor staff, 8 gardeners, chauffeurs, and kitchen staff all to take care of the many guests. The swimming pool was heated, extravagant parties were held and the guests spent their days having picnics, deer-hunting sessions, afternoon teas and very formal dinners with live entertainment and dancing. Jazz king George Melly and English artist Derek Hill were just some of Glenveagh’s guests. Henry brought about a glorious return to the “big house” lifestyle with picnics, deer-hunting parties, afternoon teas and formal dinners. The estate was of course set in an absolutely stunning landscaper of mountains and rugged bog lands. Henry not only restored the estate but he took great pleasure in developing the gardens. Henry hired the famous garden designer Lanning Roper from New Jersey and brought him to Ireland to work with the English nurseryman James Russell. Plants were brought in from the four corners of the world, South America, Tasmania and China. 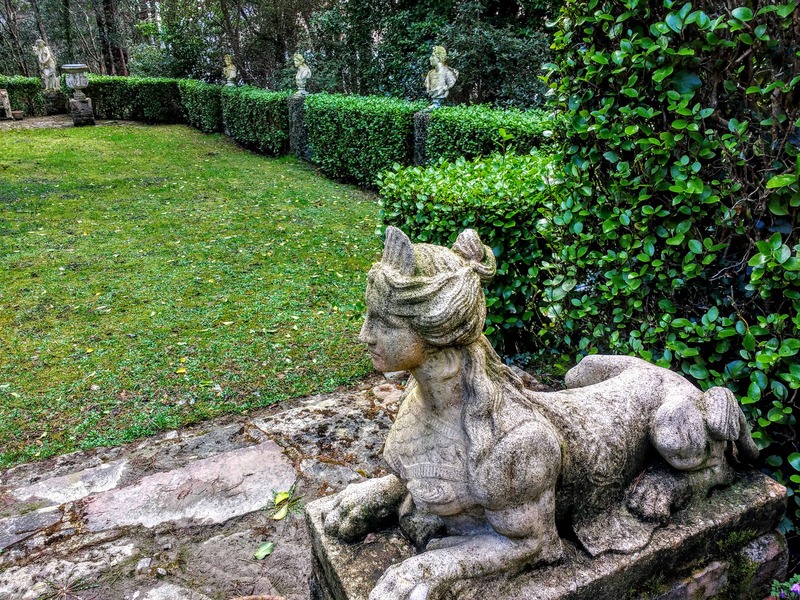 They added an incredible formal Italian Garden with beautiful statuary, a second walled garden and a neo-gothic conservatory. The castle’s interior is also remarkable. Each room is designed specifically for a particular function. 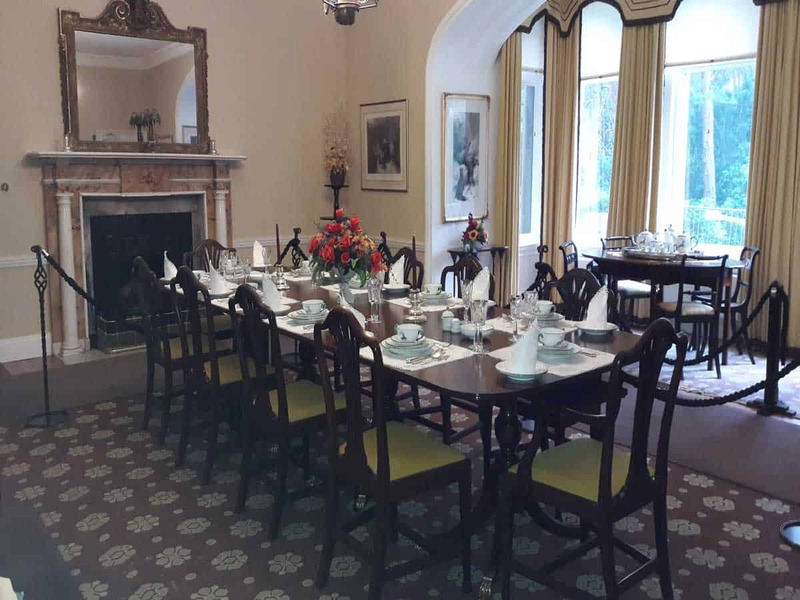 There is an elegant dining room with all the dishes and tableware designed for the room and some outstanding Landseer paintings. The music room has an antique Irish harp, the library with shelves upon shelves of books. 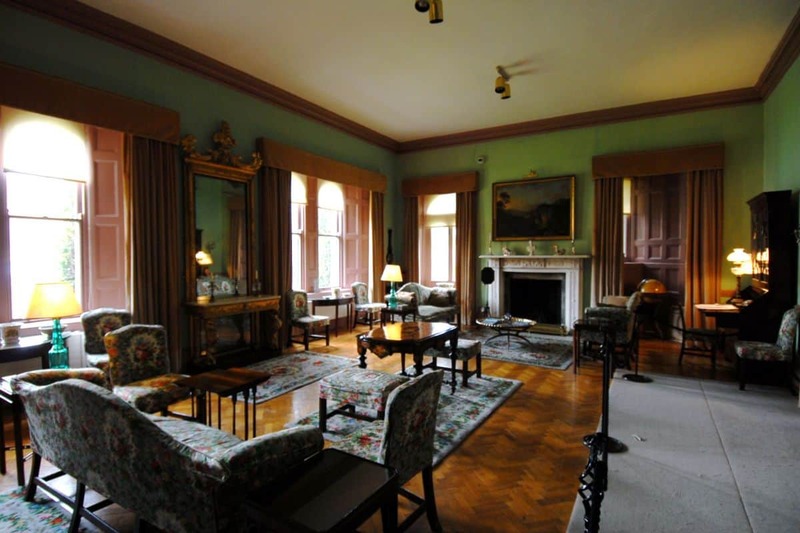 The Blue Room is American styled furniture of soft pale oak and satinwood, which was purchased by Cornelia Adair. You can take the guided tour of the castle, which costs 7 Euros per adult and is well worth the price. After the tour, you can wander the gardens and take a walk down to the Loch to admire the pool once used by Marilyn Monroe. 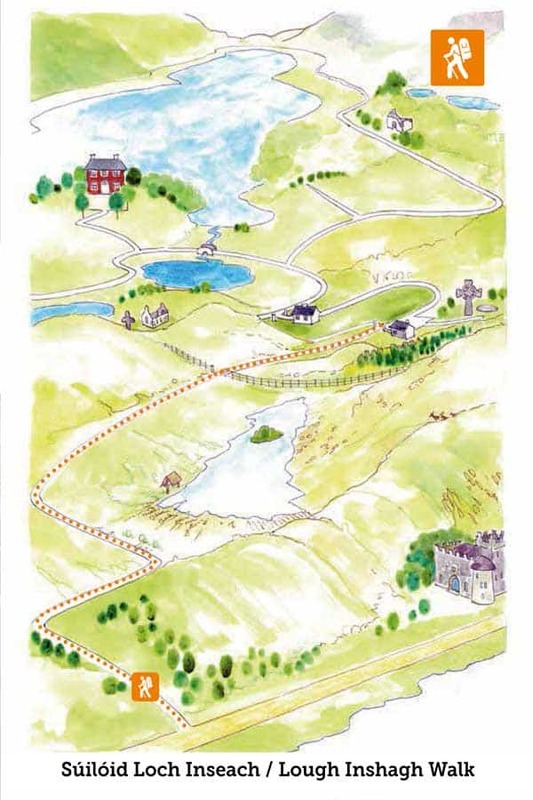 In 1975, Henry sold the Glenveagh estate to the Irish government, who then created the Glenveagh National Park. In 1983, the Castle was given to the country and became part of the park. In 1986 allowing for the creation of a National Park, and then in 1983 gave the castle and gardens to the Irish Nation. He died in 1986 in Philadelphia. In 1986, Henry moved back to the USA where he passed away and the Irish government opened the castle to the world. 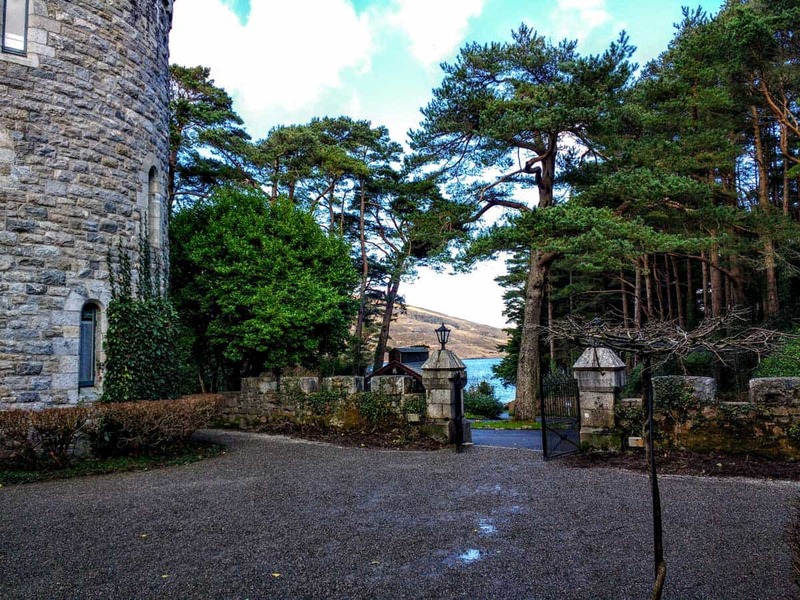 Have you managed a visit to Glenveagh National park and Glenveagh Castle? What was your favourite part.